Professor Watkins will become a Baroness and sit on the crossbenches after the Independent House of Lords Appointments Commission made the announcement today (Tuesday). The peerage is recognition of the work that Mary, Emeritus Professor of Healthcare Leadership at the University, has undertaken throughout her career in the fields of nursing, education, social enterprise and housing. “I am honoured by this appointment,” said Professor Watkins. “As a nurse, I have been driven by the desire to improve patient care; as an academic I aimed to instil that ethos in students; and through my work in mental health and housing I endeavour to ensure that those most in need are considered when developing strategy. Qualifying as a general nurse in 1976 and a mental health nurse in 1979, Professor Watkins worked in community, in-patient mental health and acute settings, providing non-emergency and emergency healthcare. Made a Nightingale Scholar in 1985, Professor Watkins was appointed Dean of the then Faculty of Health and Social Work at Plymouth in 2003, Pro Vice-Chancellor (Health) in 2005 and Deputy Vice-Chancellor in January 2007. 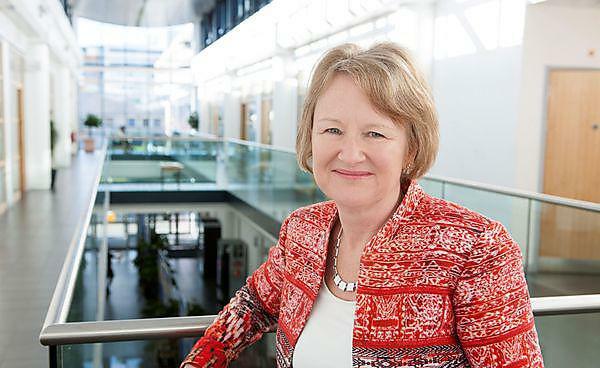 She retired in 2012, but still retains close links to the Plymouth University Peninsula Schools of Medicine and Dentistry, and serves on the Board of Governors. She is also closely involved with the governance of Marine Academy Plymouth, which is sponsored by the University. Professor Watkins has published widely in the field of nursing education and leadership, and was inaugural editor of the Journal of Clinical Nursing. She has consistently been invited to represent the views of the nursing profession on a range of Department of Health working parties and is Nurse Adviser to the BUPA Medical Advisory Panel.